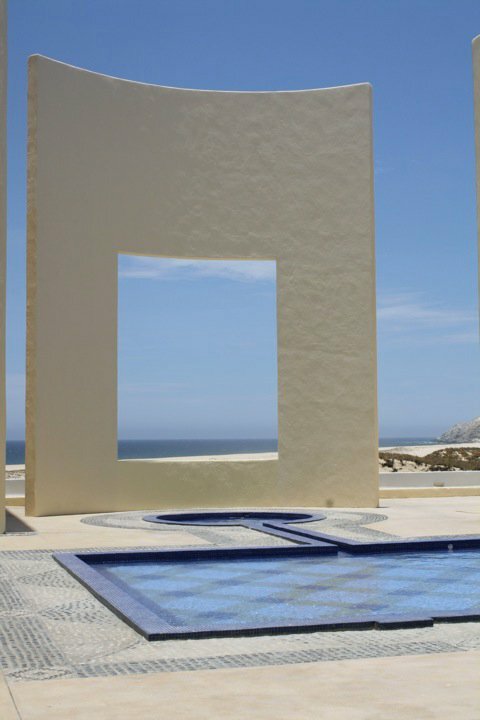 The entrance to the Pueblo Bonito Pacifica Resort and Spa is flanked on either side with giant monuments to the two most distinctive feature of the Cabo landscape – ocean and desert. One giant window frames the Pacific Ocean and the other frames the desert landscape. 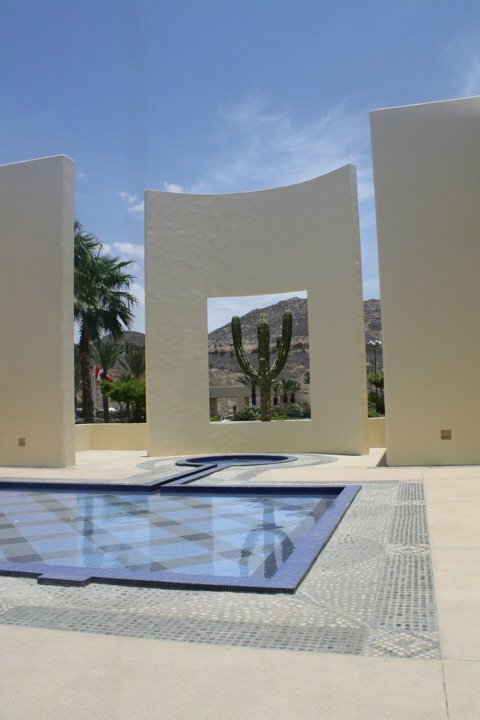 Pueblo Bonito Pacifica is filled with gorgeous art design and landscaping and these giant windows are just a start for your journey into this relaxing holistic paradise. I love these giant windows!